Never had a problem with this stuff, I should try something else but if something works well I stick with it. Having used the Stans rim tape before with no issues - I didn`t bother to look at anything else. Does the job of taping your rim perfectly. I replaced the original DT Swiss rim tape which annoyingly and surprisingly had "blown" forcing the sealant through the spoke holes. Not what I expected from the brand. However, Merlin very quickly supplied (FOC) Stan's tape. This was thicker than expected but was easy to apply and has performed as expected-no leaks, no hassle. Merlin, very easy to deal with, offering solutions quickly. It's simply the best tubeless rim tape available. It can split on the edge if you try and get it super tight but works really well on the rim in 2 layers. Much better than the narrow tape at creating a good seal, but still not strong enough. Tore easily when using a tyre lever to get a stubborn tyre off. So expensive as well ! Good stuff for making tubeless a lot less painful than in the old days. Not much that can be said as it is just rim tape but nice and lightweight. Wheels sealed tubeless with no issues. You need this to go with your nice new Stans Arch Mk 3 rims. Simples. Seems strong, but I've not used tubeless rim tape before. I had to use this as a 2nd layer on some Hunt tubeless wheels that Schwalbe Pro Ones wouldn't seal on. One wrap of this stuff and the tyres sealed & seated perfectly straight away. Tape that does the job. Easy to use. Nice product. I'm a first time tubless user. I watched the Stans installation video on Youtube, which had some basic tips on how to get a good seal, but the tape fitted perfectly first time onto my Stans rim and everything is working without a hitch! Bit fiddly to fit but worth it. It's expensive for what it is, and it's a bit of a pain to apply, but it does the job well! Strong rim tape, requires two wraps on road wheels and careful application to ensure it seats between the rim hooks. Best applied with wheel fitted to bike if you don't have a wheelstand. Easy to correct if not applied straight. Also stays tacky, I've had to replace spokes on 3 serperate occasions and rim tape can be reapplied without throwing away and replacing with new. Did what it was designed for and very easy to install. Easy to fit and cut. Could be stickier but that would make adjustments harder. Plenty to do more than two rims so you can do all your bikes once you realise that inner tubes are a thing of the past! Great tape, easy to apply, well...reasonably easy if your ambidextrous and have four thumbs, just kidding once underway you'll find out a way that works for you. Seals perfectly. Bought a roll for new pair of Stans ZTR Arch EX rims to go tubeless. Very easy to set up: I followed instructional video on Stans No Tubes website and it took less than 5 mins per rim. One roll should do about 4 x 26in rims. After fitting No Tubes valves to the taped rims, the Maxxis Ardent/Advantage tyres inflated with track pump without any hassle (always use a bit of watery washing up liquid to make the seal). The rim tape formed a perfect seal (not too tight, either). So in went the gloop through the coreless valves, and Bob's your uncle. Very straight forward indeed. If I can do it, anyone can - believe me! A bit tricky to get it seated without creases but once it's in place, job done. Well worth a go if you want to try going tubeless. Fiddly to use, but I suspect thats more me than the tape. Does what its supposed to. Very tight and sticky rim tape. Had no problems putting it on the rim. Taped two 29" rims and still have plenty of tape left. What can I say.....Stans Notubes is awesome!!! I am running my SS 29er tubeless and have not had a flat in two years of hard riding. At 100 kg I used to get pinch flats all the time but now I don't have that problem and I can just concentrate on riding!! I also love the fact that I can run my tyres at a lower pressure for more traction and to take the edge off the bumps (my SS 29er is a fully rigid steel framed OnOne Inbred!!!). I have bought this kit to convert one of my mates bikes to tubeless before the upcoming 4 day mtb stage race in Margaret River, Western Australia.......can't wait!!! I've only ever used this on Stans rims but it does the job well. Haven't had any problems with tyres not sealing. Good product. Fitted Flow EX rims perfectly. Easy to fit. Watch video on Stans web site. Careful with the tyre levers when you mount or remove tyres. Quite easy to pop a hole in the tape. Easy to fit on the Stan's ZTROlympic handbuilt wheels I also purchased from Merlin. Rim tape and valves worked first time with Stan's sealant and Specialized 'Ground Control 'and 'Captain' '2Bliss' tyres. Merlin are brilliant, with great porducts, bargain prices and instant delivery. Very highly recommended. Ideal for Stans 355 and Crest rims. Stans have some 'how to' videos on their web-site, which make the whole process very easy. Works exactly as expected as long as you take your time when applying it. 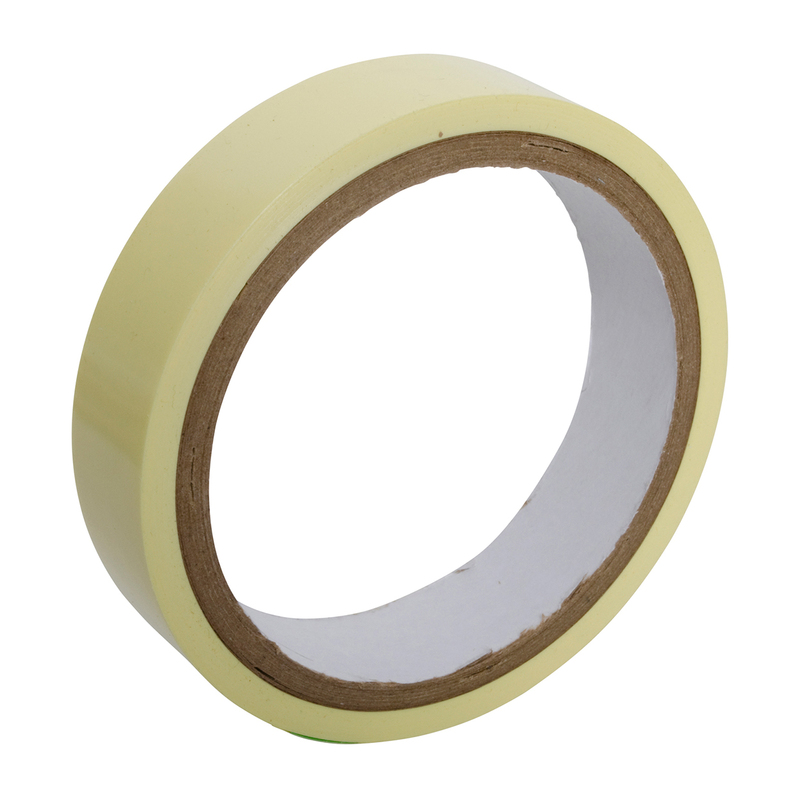 Enough tape to do at least 4 rims so overall good value.Can be used as normal light weight rim tape for tubed tyres.See Stan's web site for fitting instructions.Easy and straightforward.Again great price and service from Merlin. Didn't realise tubeless would be so easy to set up, works exactly as it should. Used for Stans Crests rims. Enough to do 2 sets of wheels.